To better serve families in the CDH community, CDH International and our CHERUBS division have instituted a new program. CDHi Ambassadors are new volunteer positions in each state and all 70+ countries that we serve. 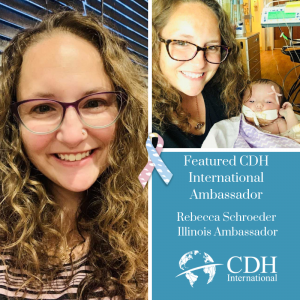 Our featured CDHi Ambassador this week is Illinois Ambassador, Rebecca Schroeder, mom to cherub Lily. 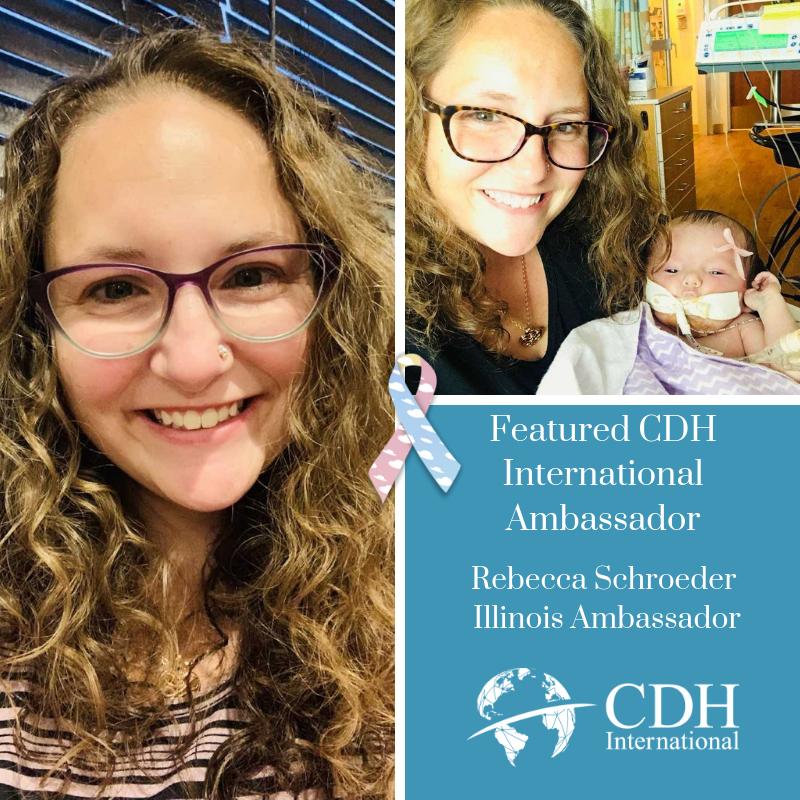 Rebecca holds a bachelors in Pre-Counseling from Moody Bible Institute and is set to complete a Masters in Social Work in the Spring of 2020. Helping people has always been her passion. Some of her most rewarding experiences include completing internships at 2 non-profits in Chicago: Safe Families for Children, a non-profit dedicated to providing resources to families in crisis and Envision Unlimited a non-profit dedicated to providing individuals with disabilities quality services which promote choice, independence and community integration. In addition to this, Rebecca has 10 years of experience working with students in middle and high school serving as a youth leader as well as the Assistant Student Ministry Director for 2 years at Park Community Church. She feels serving others is a calling placed on her life which is why she is pursuing a degree in Social Work. Her greatest accomplishment by far weighs in at just under 15 lbs and was born September 1, 2018. Parenthood is a difficult journey made even more so by a diagnosis of CDH. Making it through the ups and downs of middle of the night phone calls, ECMO, DH repair surgery, NG and G tubes etc., has been the most difficult thing she has ever faced. It is this that drives her desire to help other families who are facing the same journey.